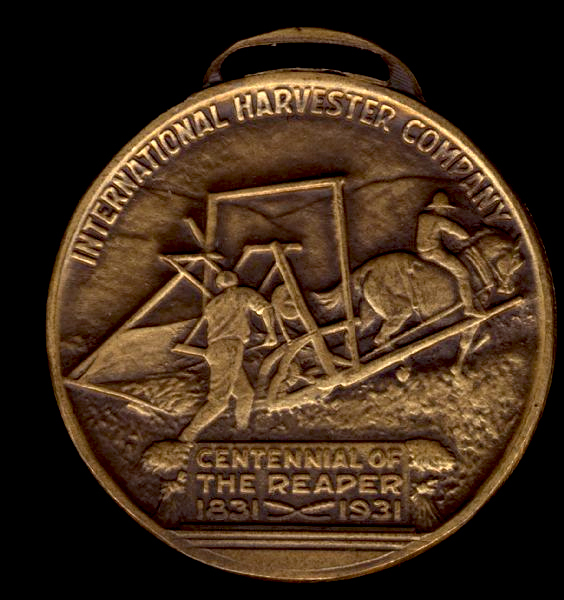 In 1931, the "Reaper Centennial" was a major promotional event for the International Harvester Company commemorating the 100th anniversary of the invention of the reaper by Cyrus Hall McCormick. The company hosted a formal centennial ceremony at Walnut Grove Farm, Virginia, in July 1931, and held commemorative luncheons and banquets in 50 U.S. cities. The company also produced exhibits, films, publications and models of the 1831 reaper. In addition, the McCormick family created 100 university scholarships in agriculture. 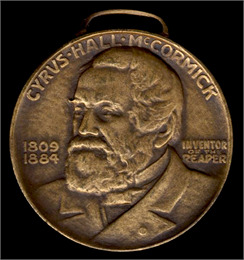 The International Harvester Company produced a series of medals, or centennial coins, to commemorate the anniversary. The coins have a picture of Cyrus Hall McCormick on one side and a picture of the reaper on the other. 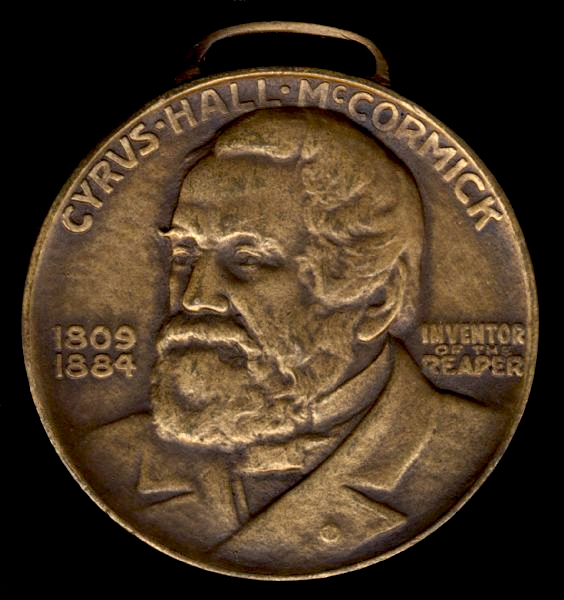 The dates on the coin refer to the birth and death of Cyrus McCormick (1809-1884) and the 100th anniversary of the invention of the mechanical reaper (1831-1931). International Harvester contracted with the Medallic Art Company of New York to produce the coins in batches of 250,000. International Harvester eventually distributed more than a million coins in a few different sizes. The company distributed the coins as souvenirs through its worldwide network of dealerships. Local dealerships distributed them in several ways. For example, coins may have been thrown from floats in local parades or handed out to customers visiting show rooms. The silver-dollar-size coins are the most common coins found in personal collections. International Harvester also distributed coins in larger sizes. These are rarer and much more difficult to find. Some collectors have inquired about the monetary value of the coins. The archival code of ethics prohibits the Society from estimating monetary value. 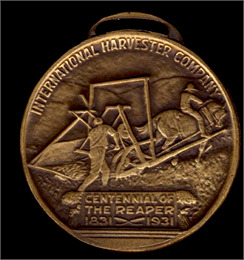 To learn more about the 1931 Reaper Centennial, search the McCormick-International Harvester Collection. There you'll find press clippings, films, photographs, advertising literature, company correspondence, display materials, commemorative coins, and reaper models documenting the celebration. The McCormick Harvesting Machine Company was one of the partners in a merger that formed International Harvester in 1902.